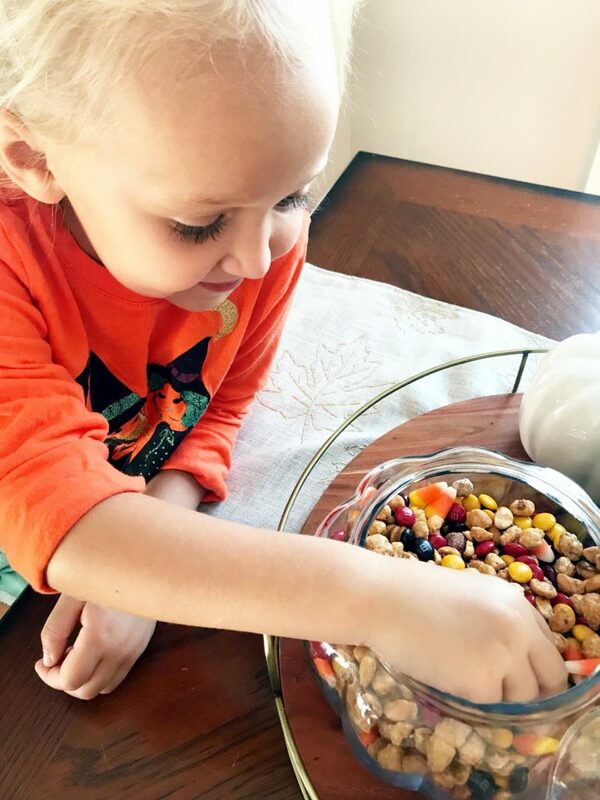 You are here: Home / Food / Fall Treats: Brain Food! Raise your hand if you are loving September! The temps are cooling and the colors are changing. Ready or not, here we go into the most magical time of year. 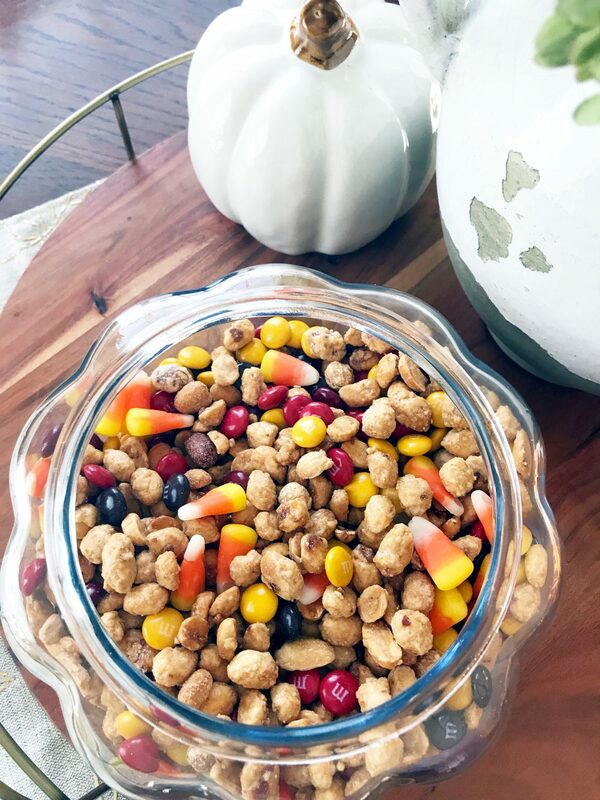 A sure sign of fall at my house is the appearance of the “brain food.” This snack mix with a funny name came into my life when I was visiting my college friend’s home. 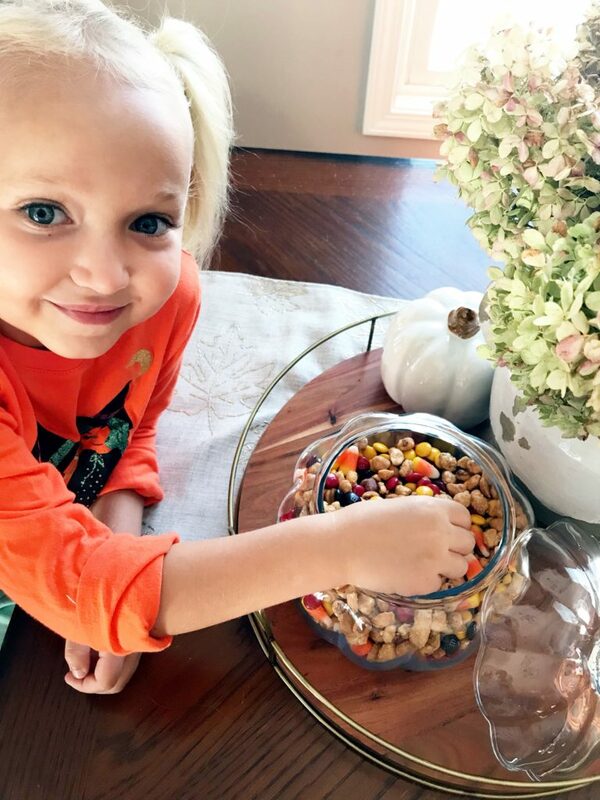 Her mom had a wonderful treat waiting for us that she called brain food! Brain food is great for college kids studying for midterms- as we were. It obviously helps you think! 😉 Our midterm days are long gone but every September I pull out this sweet treat. It has become a favorite tradition! All you need is this magical glass pumpkin. It could hold leaves or acorns or other filler, but I definitely prefer it to hold M&M’s! 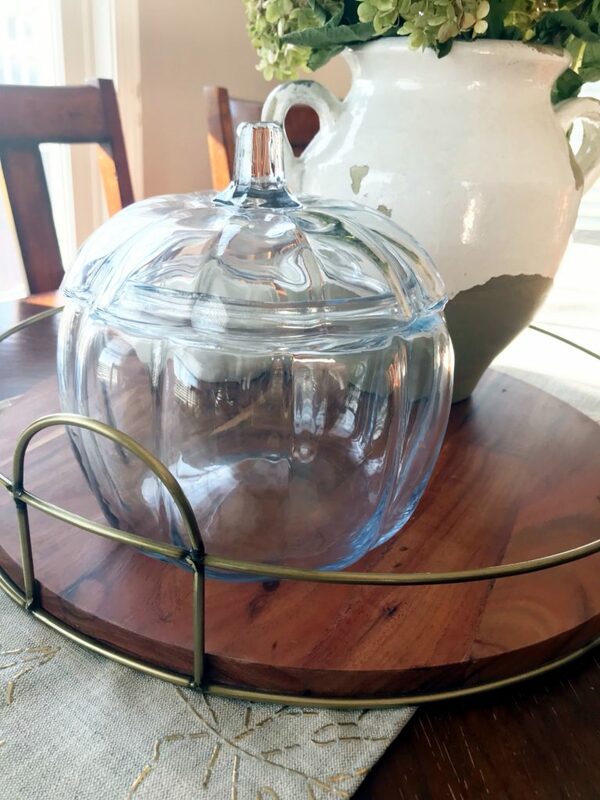 The clear glass allows it to become part of the fall décor, but I have used regular serving bowls as well. 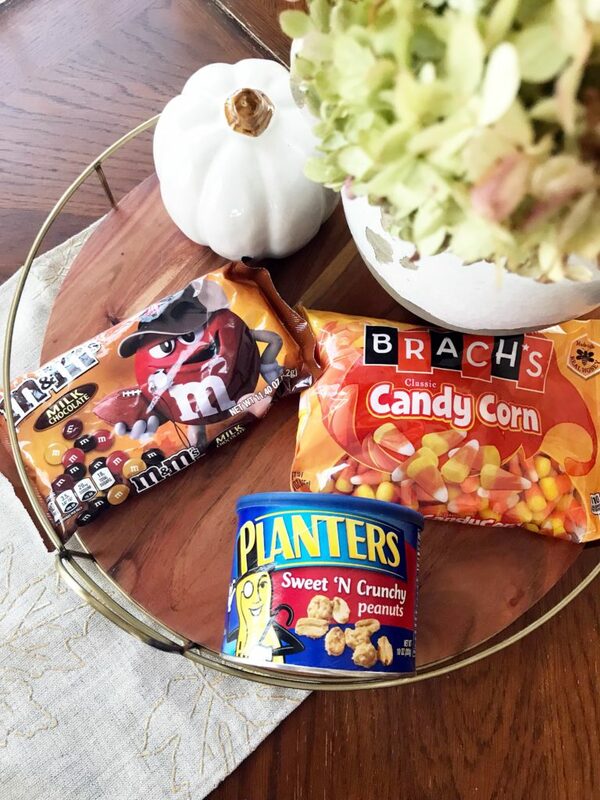 After you have the pumpkin, grab some snacks! The fall colored M&M’s are really crucial for this. Do not wait until October to buy them. They will be sold out everywhere. Then your brain food would be much less festive! Also note the sweet and crunchy peanuts…magic! Perfect alone, but super in this mix. I also frequently use regular honey roasted peanuts. You can add anything you like! Obviously there are many variations, but I have included my favorite below. Hello September, so happy you are here!